Do HVAC Contractors Need YouTube? Since YouTube is a free video service, uploading your video to their website costs you nothing. In addition, their following is so expansive, that you are gaining access to a gigantic audience, free of charge. With well optimized videos, including keyword placements within file names, title tags, and description tags, your HVAC company can quickly gain visibility. You’ve probably noticed that videos show up on some Google SERPs. 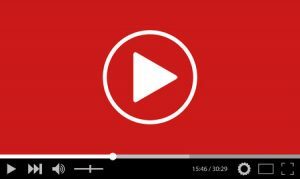 While it’s true that video results have become a big part of popular searches, there seems to be somewhat of an inefficiency regarding video content for local HVAC searches. That provides a golden opportunity to HVAC contractors who want to quickly ascend in search results. HVAC contractors are constantly wondering; what should I post on social media sites like; Facebook, Twitter, and Google Plus? What social media users want to see is content that is both unique and engaging. By posting YouTube videos on your social media timelines, you are interacting with potential customers, in a way that will engage them, and entice them to pursue business with you. Does YouTube Affect HVAC Companies SEO? Think of YouTube videos in the same way you thought of TV ads 20 years ago. The difference now is that it is much easier, and much cheaper, to establish yourself on YouTube, rather than local television. Instead of the highest bidder having access to top advertising spots, HVAC companies with an intuitive video marketing strategy, can jump the competition for a fraction of the price.